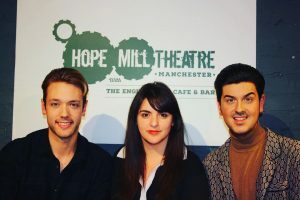 In 2016 Katy joined Joseph Houston and William Whelton as Producing Artistic Director at their new theatre Hope Mill Theatre in Manchester, Katy’s hometown. Hope Mill Theatre was the dream of Joe and Will who after a career in Musical Theatre and living in London, became inspired by the highly regarded Off West End theatres and the high-quality work they were creating. With the growing theatre industry blossoming in Manchester and no medium sized venues producing Musicals, they set up and established the independent venue in November 2015. The venue has firmly placed itself on the northern map for its ambitious in-house musical productions. The venue has won a Northern Soul Award for small theatre of the year and was nominated by The Stage as Fringe Theatre of the Year in 2016 and won this prestigious accolade when nominated again in 2017; the venue was also nominated for The Peter Brook Empty Space Award in 2017. 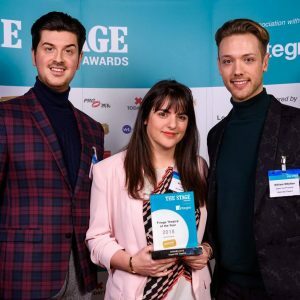 In October 2018, the theatre won Favourite Venue and Best Front of House Team at the inaugural WhatsOffStage Awards (by WhatsOnStage). 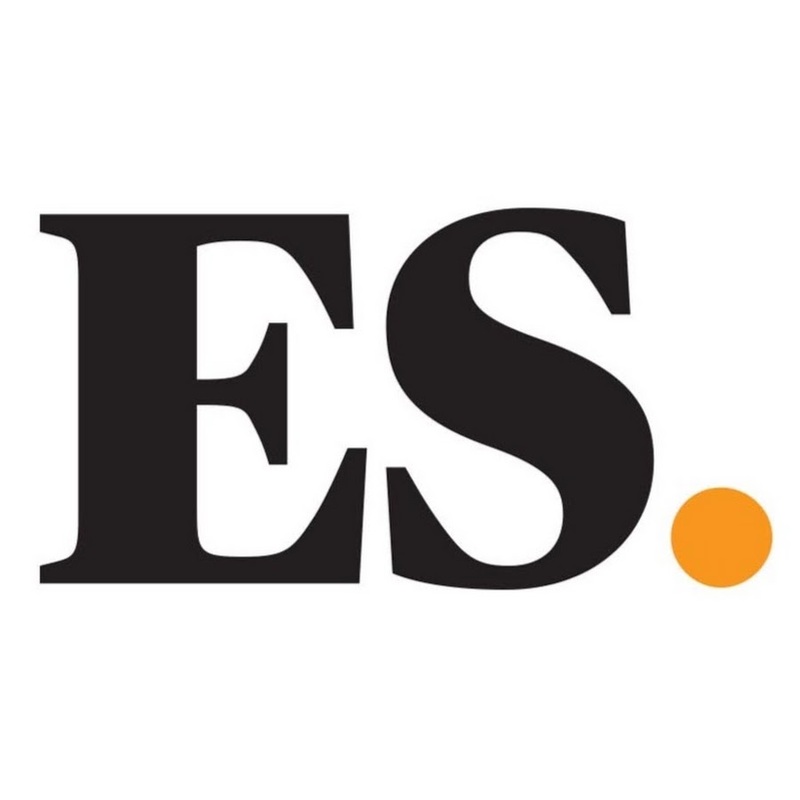 Katy joined forces to spearhead the venue as a regional home for new musicals and musical revivals and their successful collaboration has led to them being named in The Stage 100 list in 2017. As co-artistic Director and resident producer Katy has been responsible for the programming and choice of in-house musicals and looking after the productions onward commercial journeys to London as well as shepherding the artistic vision and growth of the venue as a producer of musical theatre. Past productions from 2016 and 2017 include Parade, Hair, Yank, Pippin and Little Women, of which Hair, Yank and Pippin receiving immediate London transfers. 2018 productions included: The ToyBoy Diaries, Spring Awakening, Aspects Of Love, The Return of the Soldier and Sondheim’s Putting It Together, running 24 October – 24 November. 2019 will see Hope Aria present a new version of Stephen Schwartz’s RAGS The Musical, Olivier Award-Winner Tracie Bennett leading the cast of Jerry Herman’s Mame and the world premiere production of The Astonishing Times of Timothy Cratchit. Tickets are now on sale for this season via www.hopemilltheatre.co.uk. Hope Studios is an exciting new collaboration between Play With Fire Productions, Hope Mill Theatre and Aria Entertainment. We saw the need for accessible, quality rehearsal space for Manchester’s thriving creative scene. We have a small piano room, 3 rehearsal rooms and the main studio for hire. For full info, please visit www.hopestudios.co.uk.